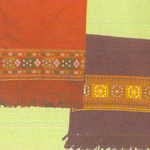 The handloom industry is the largest cottage industry of Manipur. The traditional art of weaving is not just a symbol of prosperity but a socio-economic lifestyle of Manipuri’s. Women of Manipur are born weavers. The ability to weave clothes for self and family is a quality innate to every native girl. There are more than 33 communities in the state having their respective exquisite designs of traditional and indigenous handloom fabric. The handloom industry is completely monopolised by the Meiti women as an economic necessity along with the customary obligations. A Meitei girl from a tender age journeys through the art of weaving, and throughout her life practice it. Not only she supplies clothing to her family members but also make it a source of their income. The development of industry with women owes to the fact that men in Manipur were always on war and women had to produce the uniforms and clothes continuously. Therefore weaving has always been a women’s job in Manipur. Social status and age are also reflected in the weaves and weaving styles of different communities. 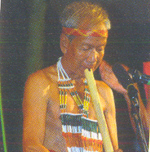 Among the Meiteis, Kabuis, Thangkhuls and Kukis women practicing this craft are married women. Whereas, among the Paites and Hmars majority of the unmarried women practice weaving.